The Scholarships for Military Children program will close for applications, Feb. 15. 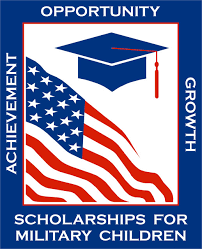 Children of active duty, reserve/guard, or retired military personnel may apply for a scholarship under this program. For the 2019 scholarship program, applications will be submitted online only. The scholarship managers will notify the recipients of their selection on or about May 10.